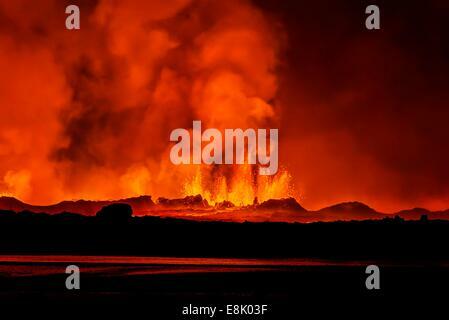 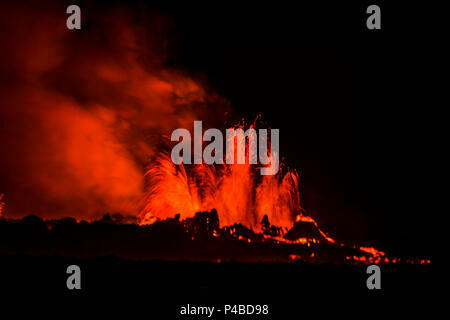 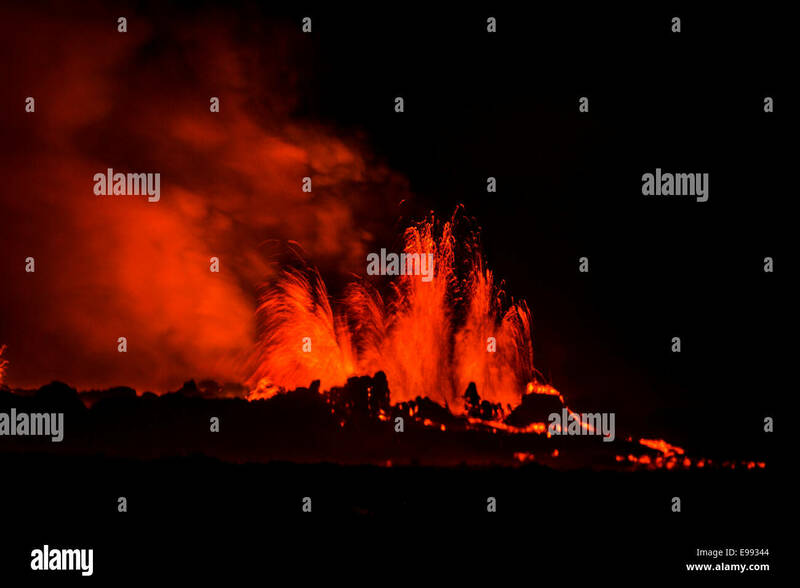 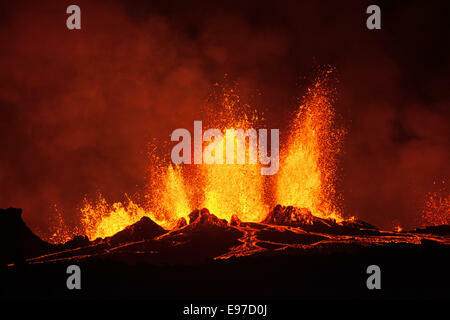 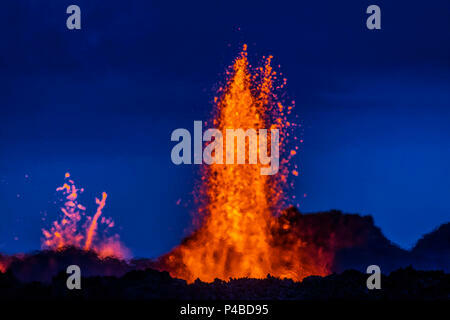 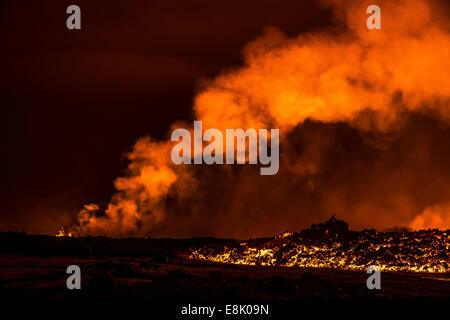 Lava fountains at night, eruption at the Holuhraun Fissure, near the Bardarbunga Volcano, Iceland. 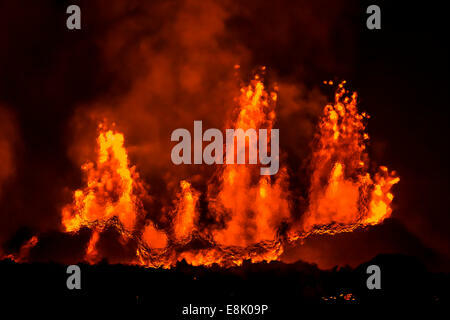 Lava fountains at the Holuhraun Fissure eruption near Bardarbunga Volcano, Iceland. 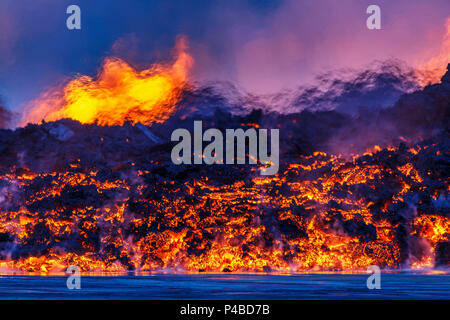 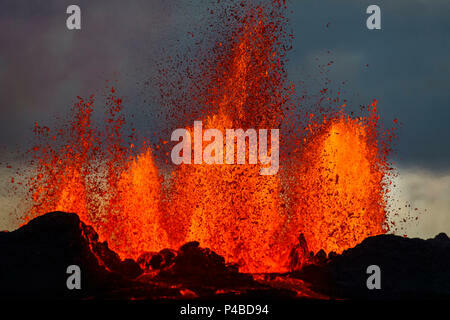 Lava fountains at the Holuhraun Fissure eruption near the Bardarbunga Volcano, Iceland.